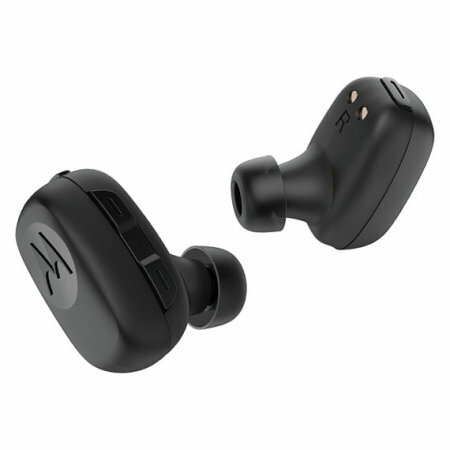 Take hands-free calls with this small and lightweight Bluetooth in-ear headphone from Motorola. 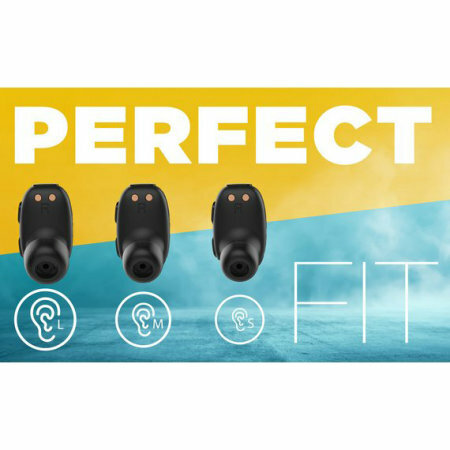 Simply pair the earphone with a Bluetooth 4.2 enabled device and enjoy your music with amazing sound quality or take phone calls with the integrated mic. Up to 6 hours playtime with charger case. Perfect for commuting, active lifestyle or relaxing. 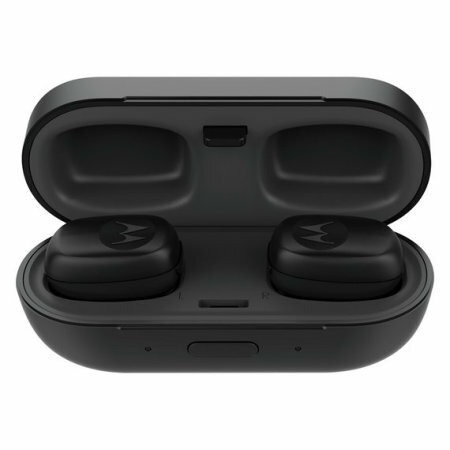 Utilizing wireless Bluetooth technology, the Motorola Stream True Wireless Headphones allows you to take calls without having to use your hand as well as us voice commands being compatible with Google Now and Siri. 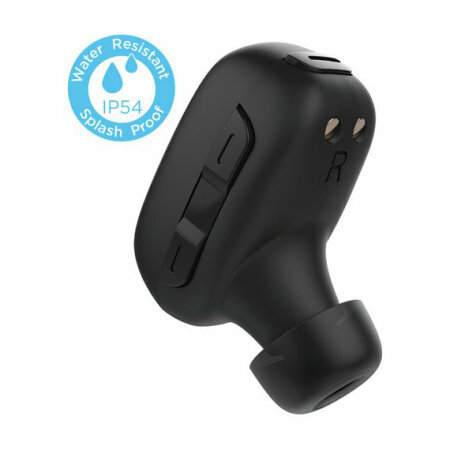 This makes it a perfect accompaniment when commuting or taking long car journeys or while exercising as these Motorola headphones have the IPX4 splashproof rating. Now you can keep yourself available to friends, family and business contacts safely whilst on the move. 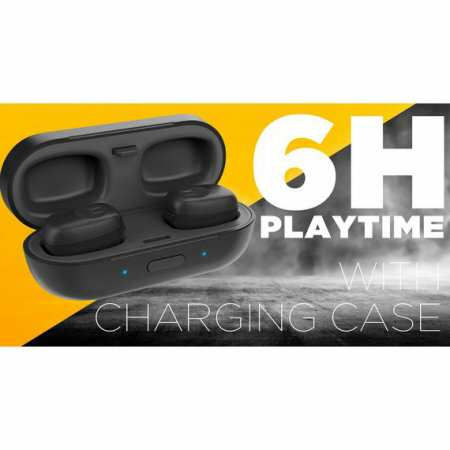 Bluetooth connectivity offers 2-hour playtime per charge, with an additional 4 hours thanks to the charger case supplied. 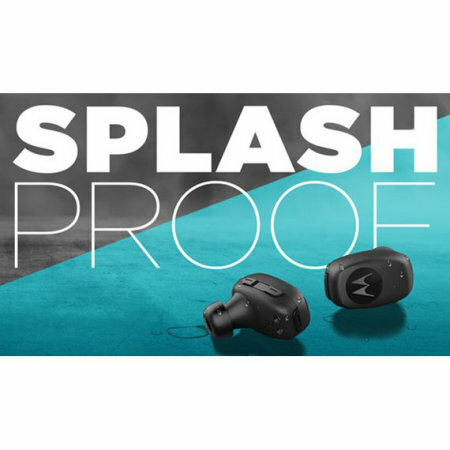 This Bluetooth headset from Motorola features impressive audio capabilities that combine with the secure design to deliver crisp, rich and sound straight to your ear. 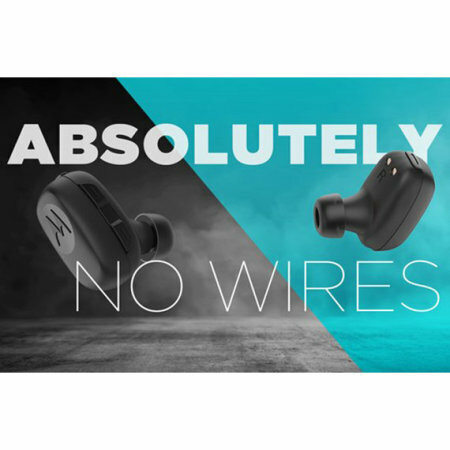 Small and lightweight, the Supertooth Bluetooth Earbuds are a discreet little unit, making it hardly noticeable when used. 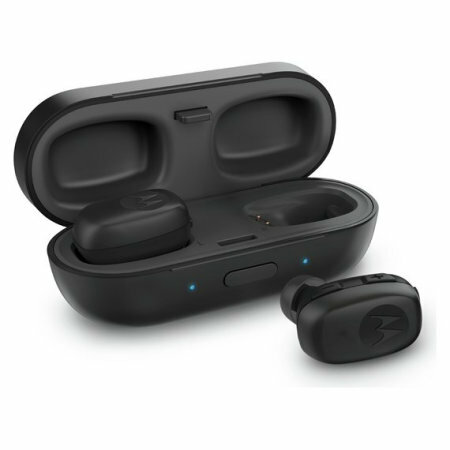 Additionally, Motorola Stream True Wireless In-Ear Headphones come with three pairs of earbuds that come in a different size- Small, Medium and Large. No matter which Bluetooth capable phone you happen to have, the Motorola Stream True Wireless In-Ear Headphones are sure to be compatible with it. That includes iPhones, Samsungs, Sonys, HTCs, Nokia, LG and many more. You name it, this headset is ideal for it.